Alexa, what's your favorite beer? While it’s refreshing to see a woman get asked her opinion about beer for once, Amazon’s Alexa doesn’t offer an earth-shattering answer. 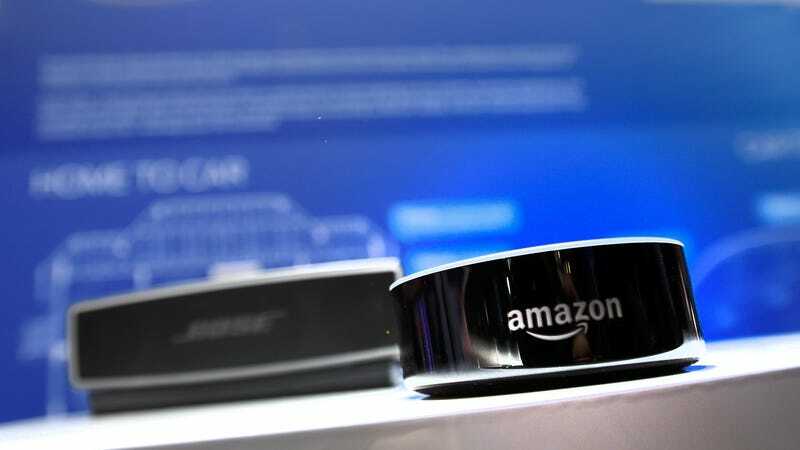 TechCrunch reports that Amazon Fire TV vice president Marc Whitten discussed the development of Alexa’s “opinions” at a recent chat during The International Consumer Electronics Show in Las Vegas. Alexa’s non-factual opinions are part of the goal of having users engage in dialogue with the virtual assistant rather than just treating it like a robotic search engine. But Alexa’s opinion is just one of many non-factual, non-programmed preferences that Amazon hopes the assistant will develop through machine learning and deep learning networks, according to TechCrunch. “This is the power of machine learning. One of the most interesting things we’re going at is how do you design an assistant that feels like you’re having a conversation with someone,” Whitten said. In the near future, Amazon’s engineers anticipate Alexa will be able to offer not just recommendations but her own preferences for movies, beer, songs, TV shows, and more. Let’s just hope they’re a little more off-beat than her taste in beer. Is the butter coffee diet bulletproof?